My posts have been delayed so I do not post on China while in China. I have now cycled through China and am in Laos. From now on, I will post without this delay. You can read my thoughts of cycling through Laos and beyond in closer to real time, while also reading daily posts of my trip through China (with the 3 month delay). Here are my thoughts on China. 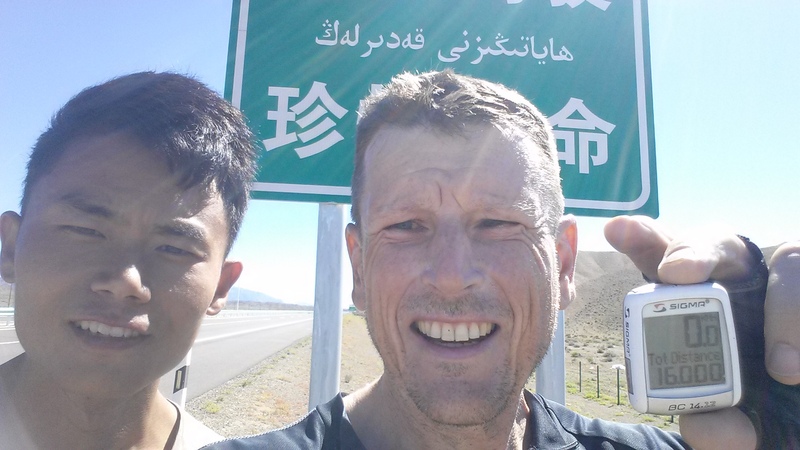 As a skinny, exhausted cyclist, I staggered across the border from China to Laos. I cycled over 6000km in China in almost 3 months. It was an intense part of my trip. I had training to prepare me (cycling to China), and I needed it. 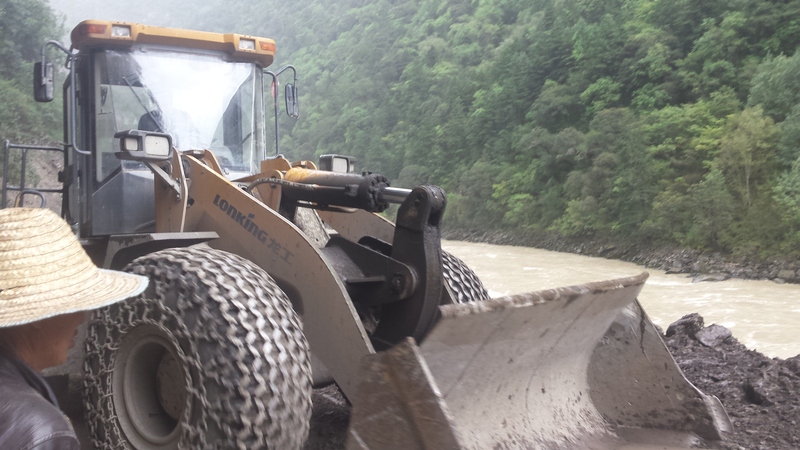 Wind and sand, multiple 100km stretches of mud bath roadworks and a lot of steep climbing. China was an assault on the senses. Beautiful, wild, vast nature, and a culture so foreign, it left me reeling from culture shock. A truly rewarding experience. Thank you China! I met and cycled with some lovely Chinese people, who welcomed me to join them and become their friends as we experienced their country together. It amazes me how light they can travel. Two small panniers on the back and that was it. For Achun, it included a tent and sleeping bag. Chinese hikers, however, are definitely not light travellers. I met, had my photo taken, and became WeChat (Chinese Facebook) friends with many, many people. People would stop their cars in front of me, get out, and take photos of them with me and my bike. They would often give me water and food, and give me the thumbs up. Just stopping on the side of the road often brought me an audience and photos. People are definitely very curious and welcoming. I grew to fear the police, who are everywhere. In hotels, restaurants and public places, there are police signs with photos of the local police officers and telephone numbers to call. Foreigners can only stay in registered foreigner hotels – a rule which is strictly enforced in some places (usually bigger towns, especially in Xinjiang), and less strict in others. I have been woken up in the middle of the night by the police for a passport check. I was asked to leave a hotel after having checked in and showered. Once I was taken to the police both in the evening and the following morning for registration. Many hotels cannot take foreigners, and in Guazhou, I left after an hour of searching for an affordable hotel and camped in the desert. The police in Xinjiang have a checkpoint at major road junctions and check passports. Once I was refused entrance on the road I wanted to go on. I had to change clothes and return half an hour later with a different story, told to a different police officer. 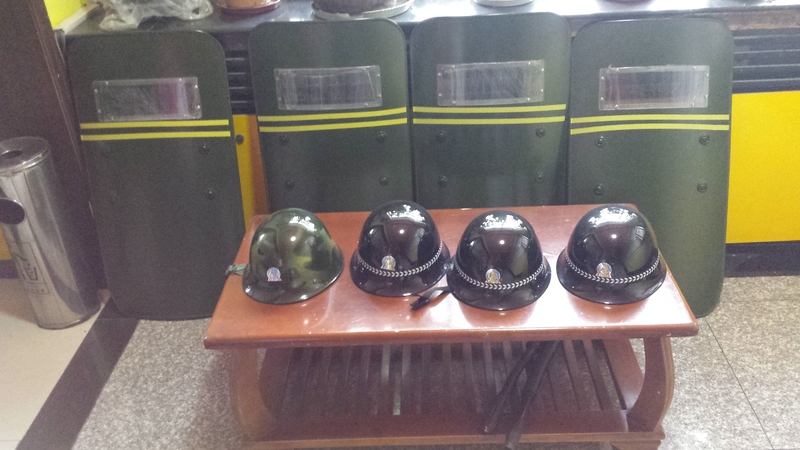 In China, the police mean: maybe we won’t let you do what you want to do. China is a police state, and you can feel it. I came to China expecting to see a country striving to be ‘developed’. Depending on your definition, it is already there. In many ways, it is everything America would like to be but isn’t. Brand new multi-lane freeways that stretch into the distance. Shiny bright shopping complexes. Advertisements with young, vibrant models inviting to spend, spend, spend. Spending has become the new Chinese meaning of life, I sometimes think. There is a huge middle class I hadn’t expected of wealthy, educated people with money to spend. I met them as cycle companions, or as tourists (like myself), visiting their own country. They are lovely, interesting, welcoming people with a life, in many ways, similar to my (old) life in Europe. Then there is the working class in China – and there are lots and lots of workers. I was amazed how there was no rubbish lying around, given how everyone lets litter slip from their fingers, anywhere and everywhere. The reason is, there is someone sweeping every street – every day. There is someone trimming the grass – every blade – everywhere. The land is intensively – manually – farmed. There are people everywhere on the fields, sewing the seed, managing the crops, harvesting and processing the harvest. China is one big construction site. Massive freeways are being built and old roads are being upgraded. The number of workers available to do this is incredible. One hundred kilometres of road is built at once, with people in bulldozers, trucks, and setting the cement barriers on the side. The workers line the 100km stretch mud bath from beginning to end. New towns are being built out of nothing in the middle of nowhere with high-rise apartment blocks, new multi-lane connecting roads, and shopping malls. Many are still empty, but ready as the people from the land move there, as is part of the Chinese government’s development plan. China is a beautiful country. I love vast expanses, and being immersed in nature – being alone at one with nature. Cycling through the endless desert, I am awed with nature’s power and magnificence. 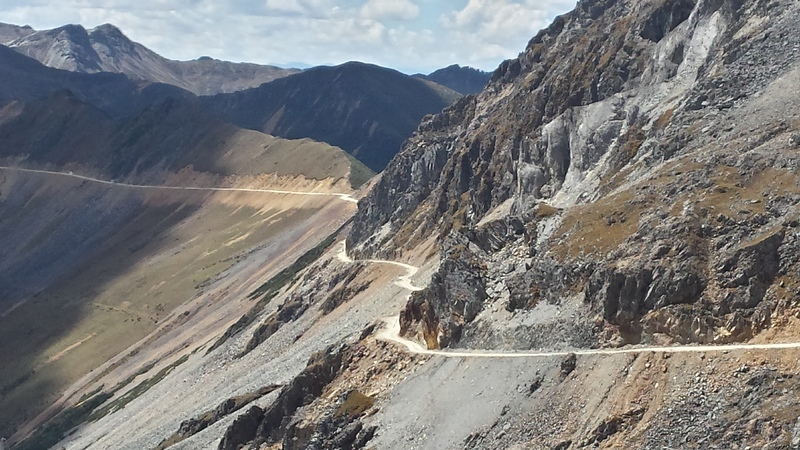 The remote mountain roads in Sichuan and Yunnan are stunning, as is the dense jungle in southern Yunnan. The tourist attractions do not give me this peace and wonder – they are overcrowded and very expensive. Although my mandarin is now quite reasonable, and I could communicate, I feel very foreign in China. I have western sensibilities and taste buds, which don’t fare well in the Middle Kingdom. I can’t get used to the slurping when eating and constant high volume spitting. Trucks and cars tooting to signify their presence drove me crazy, and I never had fears of falling into the trap of overeating. When I leave a country, I like to buy some of my favourite food to take with me to eat in the next country. In China, I went to the supermarket before the border, and came out empty handed. I lost weight in China. If you’ve not yet come across the blog “Artic-cycler.com” and this crazy Aussie bloke, Matthew’s epic journey cycling from Eindhoven to Adelaide you are in for ‘adventure travel’ through some of the world’s most incredible landscapes. He raises awareness through the “Green Pedals” movement to promote the topics of sustainability and health in schools around the world. His latest instalment on “Impressions of the Middle Kingdom” isthe extraordinary footage and first hand account of travels through China. What a journey – all kudos to you Mate!! Dear Matthew, you are absolutely unbelievable! What an adventure. One after the other. Hey, Dina. Great to hear from you!! You take care too! All the best from Laos. Hey! Thanks PedalWORKS! Great to hear you like it. I certainly enjoy cycling it! Hey. Great to hear from you, and that you like the blog! A big hi from Laos. Been following you from your preperations untill now. Keep it up. South east asia will bring you back into contact with the western tourists. Will be another culture shock i bet! Hello Matthew, great to follow your progress, even in the “delayed mode” so far. China is quite BIG – isn’t it? (by the way: did you by any chance pass through Anhui province? I spent a semester day teaching computer graphics – good memories of that time). Waiting impatiently for your next installments. It seems to me that your time in China has been a major learning experience, and your leaving is the passing of a milestone. Best wishes for the next stage of your journey. I agree with you there. It was challenging and rewarding. It also feels like I have passed the border of being near Europe to being near Australia. It really feels like I’m cycling across the planet, and it feels good!